I don't know about your house, but at my house my kids greet school holidays with great joy....and at least some of that is glee about the increased gaming time they know is coming their way. I've also spoken to a couple of families this week with older teens who are also dealing with the issue of gaming over holidays. If you can relate - here are a few ideas that I think often work. I've said it in previous blogs, gaming is not evil. In moderation, playing computer/video/console games challenges young people, increases some of their cognitive skills, can be an opportunity to hang out with or play with friends and makes life fun. 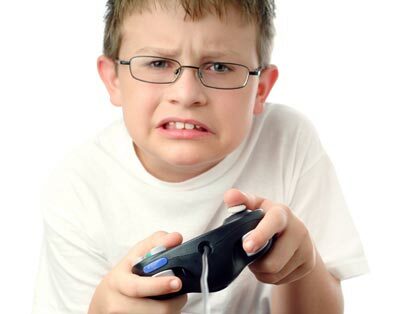 If you are consistently negative, disappointed or frustrated about your child or teen's enjoyment of gaming - you will alienate them. This won't help them stop gaming, it will just mean they talk less to you. You might have guidelines for gaming during the school terms, but possibly not during the holidays. If you really don't mind how much gaming they do on holidays then an absence of guidelines is fine. But if you do care - and you want them to do other things over the next two weeks than be in front of the computer - then you need to have some SPECIFIC holiday guidelines. "Don't spend all your time on screens" is nowhere near specific enough. Instead, write down (that old fashioned pen device works quite well in this situation) specific times and conditions for the gaming limits. For example you might write "Two hours of gaming a day unless we are going out, in which case 90 minutes - half before 12noon and half after". OR "Gaming every afternoon betwen 2 and 5pm on Monday, Wednesday and Friday this week". OR "Gaming happens for 1 hour max, 4 times during the day, on 3 days this week". Even better, if you have younger kids, write out a school holiday schedule and colour in the gaming times. If you can't think this far ahead, then tell kids and teens you will tell them the night prior what their gaming times will be the next day. 3. Distinguish between gaming and other computer based activities. Many creative and amazing things are done on computers and tablets other than gaming. For example, website design, reading, writing stories, using art programs, photography, making movies and so on. You may be happy with your child/teen doing these things so make it clear what are gaming activities, and what are non gaming activities. In our house, gaming time includes gaming itself on the xbox, computer or tablet, OR watching youtube videos about games OR reading websites about games. Other computer activities do not count as gaming time and are not subject to the same restrictions. Once we have made the rules, we now need to monitor what young people are doing and make sure they stick to them. This means we need to be around, watching and keeping an eye on what is happening. And then to use gentle, persistent, non-negotiable reminders about turning gaming off once the time is up. It's better to have smaller, less ambitious rules for shorter periods of time than to set up something for the entire holidays that you can't continue to monitor. 4. Help kids and teens find other fun non gaming activities to do. We need to put effort into helping young people both identify fun non gaming activities (at home) and get started on these non gaming activities. There are lots of websites which provide school holiday game/activity ideas - sit down with your young person and brainstorm.what else they might like to do. Write a list of holiday activity options with them. For teens, this might mean help out with finding part time jobs, work experience, cooking, holiday activities, social opportunities, classes, board game days, exercise/sport options etc. Some of these things will take time so it might be a good idea to start these longer term ones ready for the next holidays. For younger kids kids, you can set up craft activities, play dates, get out boardgames, put out drawing things, get them involved in imaginery play, get out old toys etc. Helping young people get engaged in and started on non gaming activities takes some effort usually. Sometimes we need to provide materials, transport and our company in the beginning stages. Once they have taken an idea and got into it - we can then withdraw gradually. We will have to do less of this when they get better at entertaining and finding activity options themselves, but this does take some time. Did I say this already? Try to be patient. Learning to occupy yourself and find meaningful and enjoyable leisure activity is a hard task for some people - kids, teens and adults alike. It's a skill which is needs coaching rather than a misbehaviour or a character flaw for us to be disappointed in. 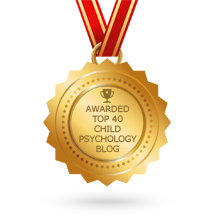 Want help in managing difficult child or teen behaviour or conflict? Call us for an appointment.